In this article, we’ll have a peek at the all-new be quiet! Straight Power 11 750 Watt power supply. The series has been improved internally and comes with a few new hardware tweaks. More silence and a more efficient design are the keywords for this 80 Plus Gold certified product series. With the ever-growing demand for power consumption, this is a highly modular, with multiple 12V rails. The PSU series will be available in a wide range of models running from 450W up-towards a 1000W. In this review we are having a look at the latest revision of Corsair’s HX PSU series. The main improvements of the new series revision are an improved certification to Platinum, a fully modular design, and now an extended 10-year warranty. We are testing the HX850 model, suitable for 850W which can easily feed a powerful dual GPU gaming/workstation system. 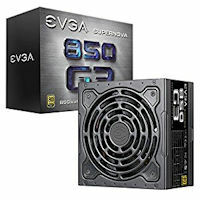 EVGA refreshed its popular G2 PSU family with the G3 one using Super Flower’s Leadex II platform. The 850 G3 is the second strongest member in this line-up, offering high performance and a depth of just 15cm. The SuperNOVA G3 units are based on a fresh Leadex II platform, and their most obvious upgrade over the G2 series is more compact dimensions. Packing higher capacity into smaller enclosures affects what we refer to as power density. Increasingly, PSU vendors are trying to do battle based on this concept of power density. Not long ago, SilverStone was the only company that really put an effort into shrinking its power supplies. Now the list is a lot longer. 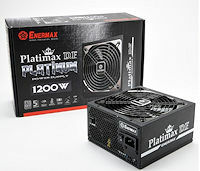 Today we peek at the XP1200M Platinum edition power supply series from GIGABYTE. 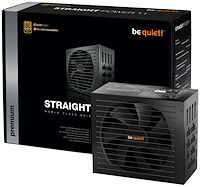 This unit lagged under the XTREME GAMING series comes Platinum certified (seriously efficient), fairly silent, is modular and can be spotted for just $279 / 259 EUR. Platinum certified means it can offer up to 92 per cent energy efficiency at 50% load which prevents wasted power. 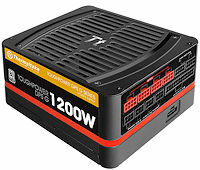 Thermaltake introduced the Toughpower DPS G Platinum line that consists of three new, semi-digital and fully modular PSUs made by Enhance Electronics. The highest-capacity 1200W model is our test subject in today’s review. 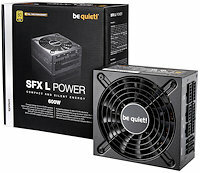 We review the new 700 Watt Pure Power 9 CM 700W Power Supply from Be Quiet! The series has been fiddled and fooled around with and comes with some new tweaks, features and hey now, is an 80 Plus Silver certified product series. With the ever-growing demand of power consumption this is a highly modular, with two 12V rails (for this 700 watt model), highly energy efficient product that remains very silent. Fortron Source (FSP) is one of the oldest computer PSU manufacturers in the market, and is the OEM behind a number of rebranded products. Their designs are usually found in advanced mid-range units, such as the Be Quiet! Dark Power Pro 10 series, but FSP has also developed interesting high-wattage designs, some of which they have been selling under their own brand. To that end, today we’ll be taking a closer look at one of thier first-party PSUs, the FSP Hydro G 750W.